This article first appeared, in slightly altered form, in the Coloradoan newspaper. The Polish call it wodka. The Russians call it vodka. 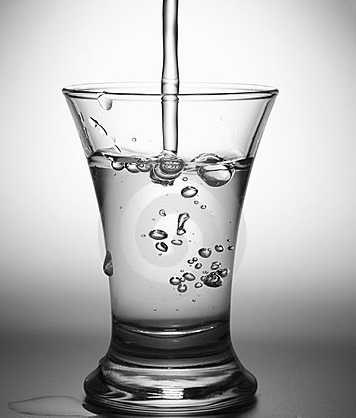 The word itself comes from the slavic voda — meaning “little water” — and, like water, vodka is colorless, odorless, and often enjoyed ice-cold. Distilled from fermented potatoes, or fermented grains (like rye or wheat), or sometimes even grapes, vodka is a deceptively simple spirit that consists primarily of ethanol and water. Grain vodka because it’s distilled from grain is actually whiskey. It is, to be sure, underaged and heavily filtered whiskey, but it’s whiskey, nevertheless. One of the chief differences is that vodka is usually filtered through charcoal, whereas whiskey is usually filtered through wood. Both the Polish and the Russians lay claim to the invention of vodka. To the Polish people in particular, this subject is significant and contentious — a question of national pride — and on this subject, the historical record is unclear. Certain sources do say the first distillation of vodka took place in what is now a part of Russia, in the 9th century, but there are other historians, just as venerable, who date it in 8th century Poland. Neither of these prototypical vodkas, however, were anything like the vodka we know and love today — nor, incidentally, were they particularly strong, weighing in at a preposterous 30 proof. Like gin, most of these early vodkas were medicinal rather than recreational. Today, we know better. Prior to the 1940’s, vodka was virtually unknown in the United States. The vodka martini — also known as the Kangaroo Cocktail or the Vodkatini — isn’t generally accepted by so-called purists (i.e. snobs and classicists with whom I stridently disagree) as a true martini, but in fact the vodka martini has a more legitimate claim to this title than most people realize. That, though, is another story for another time. In Casino Royale, when James Bond ordered his now famous Vesper cocktail, he did much to popularize the vodka martini.